The burden of expectation can sometimes be a heavy weight to bear and after a little too much of it, many films simply crumble. In 2009, an indie Korean film clocking in at three and a half hours began to make the rounds of the festival circuit and attracted some very positive attention. After a full year screening at various events it was finally accorded a domestic release in late December 2010 but, like the vast majority of independent features, it failed to find an audience in Korea. A number of people (myself included) patiently awaited its DVD release but it never came… until now. 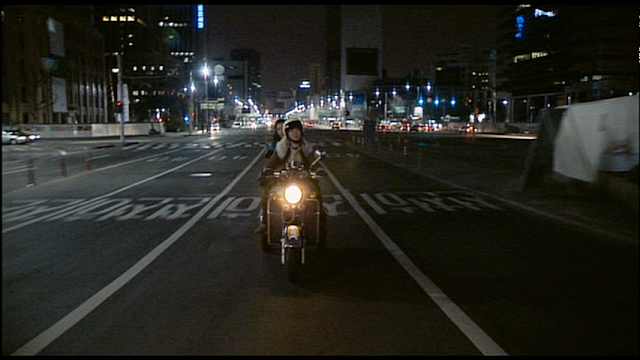 After premiering at the Busan Film Festival in October 2009, Café Noir was finally released on DVD in June 2012. While I can’t say exactly why the wait for the disc was so long, I can, to some extent, understand it. Here is a film with an enormous running time, some heavy source texts (Goethe and Dostoyevsky), painfully long takes and a fairly significant dollop of pretension; it is also the debut film of a long-standing film critic. Just one of these elements is dangerous enough to ward off all but the most adventurous film viewers but taken together it’s true that this film could only ever appeal to a very select crowd. However, if you are an ardent cinephile (the more versed in world cinema the better): Café Noir is nothing short of astounding. It is a breathtaking and ambitious work that, in its own intellectualized fashion, manages to thrill and titillate. It is a feast for the eyes and the senses but most of all, the mind. Young-soo is in love with the mother of one of his students but when she ends their affair following the return of her husband, he becomes consumed with desperation. Later he meets another woman, who tells him his story and he begins to see her every day. 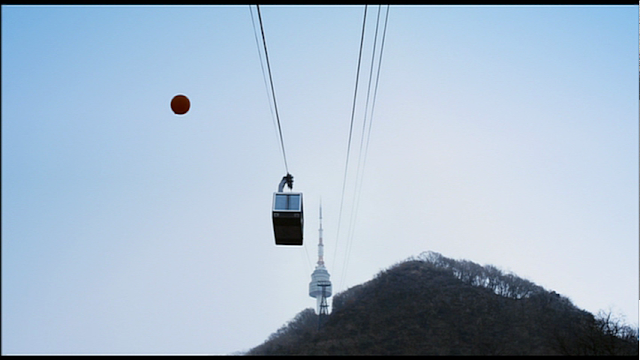 The enduring image of the film is the omnipresence of the Seoul Tower atop Namsan Mountain in the heart of the city. It appears in so many scenes that it may as well be a character but because, for the most part, it is always very far away it is almost like a deity, dictating the actions of the protagonists it overseas from afar. It is a symbol of communication but also of centralization, in Café Noir, no matter what part of Seoul the protagonists are in, they are always within view of the tower. They are close to each other, as visually mapped out by the structure, and they all own phones, yet the separation between all of the characters is palpable. Jeong Seong-il takes a big chapter out of Antonioni’s work (L’avventura, 1960) as far as this distanciation is concerned, while a number of characters may appear in the same frame together, they are often far apart. Jeong places them to the left and right, front and back, high and low: the staging of his deliberate compositions leaves little ambiguity. Communication has drawn us close together yet never have we been further apart. Perhaps that last statement is not quite true but it is all relative: the chasm seems larger now that we are a touch of a button away from each other. Then again were we meant to be in such close proximity to one another? Seoul is the second-largest city in the world, home to 23 million people: how can we expect all of them to live together in the same place? The mise-en-scene of Jeong’s film is never less than striking. Besides his framing, the whole language of the feature is very carefully put together. One of the more commanding aspects is his choice of music, which includes commanding classical pieces and very modern world music. It is not always clear what he is trying to say but the sheer presence of many of the film’s scenes is unarguable. He references countless classics of world cinema and while he pays reverential homage to them, he does succeed in creating something of his own style as well. There is a dark streak in the film that goes behind the sense of alienation that is tied to the Seoul Tower. The main character, played by Shin Ha-gyun (Save the Green Planet, 2003; The Front Line, 2011) is perpetually afflicted by unrequited love, it affects him so badly that he launches onto a Dostoyesvkan trip of despair, and yet he too is the source of someone’s else love, which he does not return. Are people not meant to be together? Is love an illusion we fabricate in the face of the emptiness of modern life, filled with its comforts and trappings, its fancy lounges and Café Noirs (black coffees)? I may not quite agree with him but Jeong certainly paints a bleak picture with his work. It took a long time to get here but now that it is finally available I hope it will find a larger audience. Perhaps then Jeong might even step behind the camera again for a sophomore work. Café Noir is one of the most singular Korean works of the last decade and while it is probably not the most perfectly realized, it stands as a massive, elegant and beatific ode to the medium. A concise and eloquent review. His writing is equally exasperating yet singular. He is also one of the main figureheads behind the annual Cinema Digital Seoul Film Festival (CinDi), which I find to be one of the most well-curated of Seoul's fests. 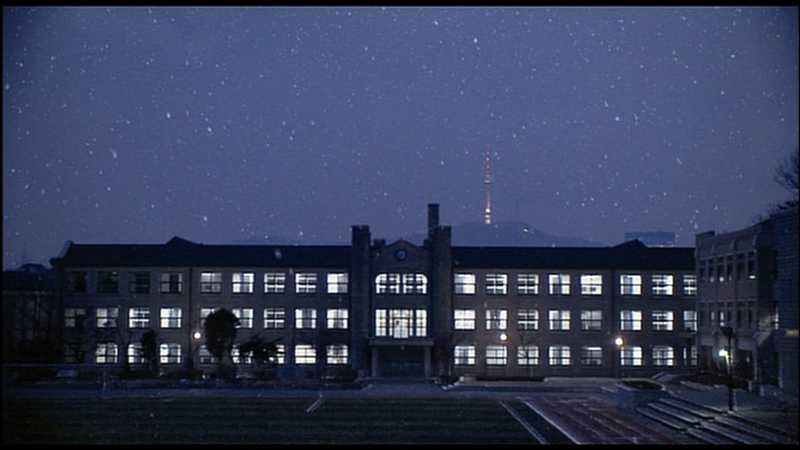 If you can guess the deep cultural meaning behind the opening scene, the next round of 막걸리 is on me. No hints! (Offer void if you're already in the know). Hmmm... I'm really not sure but I think it has something to do with her being pregnant later in the film. If I were to take a guess I'd say it's a symbol for excessive consumerism in Korea. More movies to buy... and carve out three hours for! True, so many movies and so little time (and money)! This one's worth it though. Can someone please direct me to a site from where I can buy the dvd ( I live in Romania ). Thanks! Korea Blog: When Does One Find Time to Sleep?